How is TSM Wellness Sdn Bhd related to TSM Global Bhd (TSM Global)? 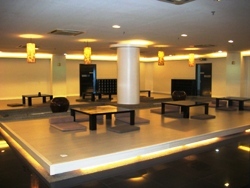 Michael: TSM Wellness Sdn Bhd is a wholly-owned subsidiary of TSM Global Bhd. Why did TSM Global decide to venture into the yoga business and take over the three ex-Yoga Zone centres? Michael: We were looking to diversify our business and felt that the wellness industry had a huge potential. Especially after speaking to some of the key people and instructors of the former Yoga Zone centres, we were even more convinced that it was a viable business. On a personal level, I too used to attend Yoga Zone classes to help me overcome my back problems. At that time, I found that their yoga classes were authentic and conducted by a team of fantastic instructors, which further sealed my confidence in them. That’s why we decided to take over the centres from Urban Yoga in February this year. Yoga Zone went into financial difficulties last year, causing a furor among its members who had paid substantial amounts of upfront money for their packages that were not returned to them. This has led the community to have a negative perception of large health and fitness centres. How will Energy Yoga avoid this? 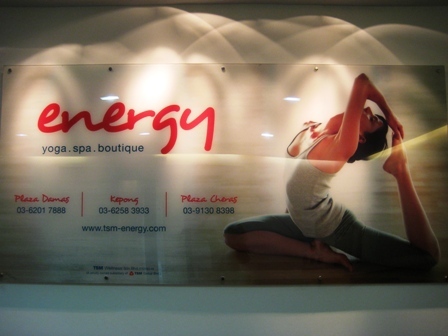 Michael: First of all, Energy Yoga is structured under the umbrella of TSM Global Bhd, a listed company which reported a revenue of RM260 million last year and gross income of RM40 million. With our strong financial backing, we will definitely be able to take care of our members and instructors in any circumstances. However, we are confident that we will be here for the long run. We already have a three-year business plan in place for Energy Yoga and we are looking to break-even by this year. 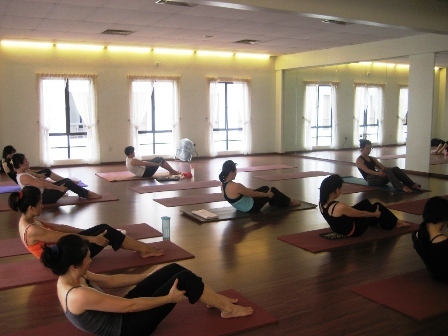 Of course we have also retained the same team of experienced instructors who were originally with Yoga Zone, so that we can provide quality yoga classes to our members. 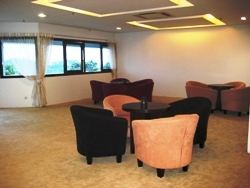 In addition to this, we offer top-notch facilities and service. We have also invested in getting experts to assist in marketing and running the operations of the centres. For example, we have just employed two new Club Managers to run the Plaza Damas and Kepong outlets respectively. So far, have the people’s perceptions changed? Michael: I think their perceptions are slowly changing. With more members’ meeting and as time goes by, they have started to see that we are serious and our memberships have gradually been increasing. We want to let our members know that we are fresh investors who are unrelated to Yoga Zone and Urban Yoga, who are here to stay for the long run. Presently, how many classes are being held weekly at Energy Yoga and how many instructors do you have handling these classes? Michael: Inclusive of all three centres, we hold 180 classes per week and we have over 30 yoga instructors. Are your instructors mainly attached to Energy Yoga on a full-time or part-time basis? Michael: At this present moment, our instructors are hired on a part-time basis with the exception of Matthew and Pari. We do not restrict our instructors in teaching at other centres. However, we are working out a plan to ensure that our instructors will have opportunity for career progression by gradually giving them more classes. Instructors will also be ensured of a stable salary and a fixed time frame for their classes that they will be comfortable with. Going forward, we do hope to employ our instructors on a full-time basis where they will be able to enjoy benefits such as subsidies for workshops and training, for example. Are you still hiring more instructors? Michael: No, we are not hiring any more at the moment. Do you currently hold any Teacher Training Courses (TTC) or offer them to your instructors? Michael: Not currently. However, we do encourage our instructors to participate in TTCs available elsewhere, and as I mentioned before, we will look into providing subsidies to full-time instructors who wish to do so. It sounds like Energy Yoga has everything in place and is now raring to go. Before we bring this interview to an end, could you share with us what Energy Yoga has in store for us in the near future? Michael: We have lots of exciting events and activities coming up. On 18th of July this month, we will be having our launch, which will be officiated by the Health Minister, Datuk Seri Liow Tiong Lai. During the launch, we will have performances, events and goodie bags to giveaway. We have invited members of the media to give coverage to the event. Besides our current range of yoga and pilates classes, we intend to bring in more varieties of exercise such as Kids Yoga, Jazzercise and maybe even pole-dancing. We have also begun talks with third parties in order to provide more privileges and discounts to our members. Another exciting news is our plan to organize a yoga retreat with a difference. TSM Global owns a resort and golf course in Langkawi, so logistics-wise, we would be able to offer an attractive package to members. 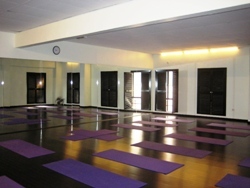 Energy Yoga offers a wide range of classes which include Hatha, Ashtanga, Vinyasa, Yin, ChiPilates, Yogalates, YogaFit and X-Pilates, to name a few. 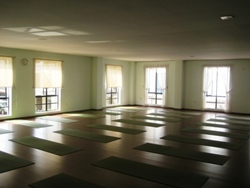 For more information on Energy Yoga, visit their website at www.tsm-energy.com.